We needed to lunch in Puerto del Carmen this week, after a meeting in the resort, I’d heard some good reports about a new place, so we headed for The Farm in Matagorda. The interior of The Farm is really cosy and inviting with a selection of eclectic distressed furniture & stacks of cushions, the staff also wear checked shirts to continue the farm style theme. Their aim is to provide good quality, home cooked food, and after eating our lunch we agree, they’ve nailed it. The breakfast menu is available until 3pm, serving eggs benedict, steak & eggs, kippers, pancakes as well as fry ups and other options. I decided to order the Cajun chicken panini and Miguel ordered the Moo Yorker burger, both come with chips and salad. The dishes are beautifully presented and bursting full of flavour. My panini had plenty of good quality chicken breast meat inside which was nicely spiced, but we both agreed the winner out of the two dishes was the Moo Yorker. The burger was stacked with bacon & cheese plus an extra of jalapeños and was really tasty. 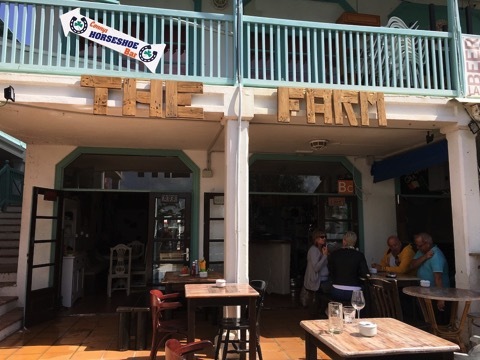 We think The Farm Country Kitchen & Bar is a great addition to the restaurants in Puerto del Carmen, their menu is priced so that you can enjoy a two course meal for 10-12 euros per person. Apparently we should definitely go back to try their range of homemade desserts, the cheesecakes sounded very tempting. My panini was €5 and the Moo Yorker was €7.95. It’s great to see another new business doing well on the island, pop in if you’re passing and give them a try. A reminder that our restaurant reviews we publish are completely of our own opinion, we don’t pre-book or warn restaurants that we are planning to dine there, nor are we paid or offered free meals to add reviews to our website. 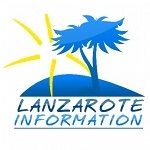 We aim simply to share the good restaurants to be found in Lanzarote so that you can enjoy them too! Apartment 486 is a one bedroom apartment in the sought after Los Pocillos are of Puerto del Carmen. Ideal location for a holiday let.